The Somerset Lifestyle and Retirement Village in Somerset West, developed by the Westacre Development Company, is the residential estate of choice for the over 50’s. 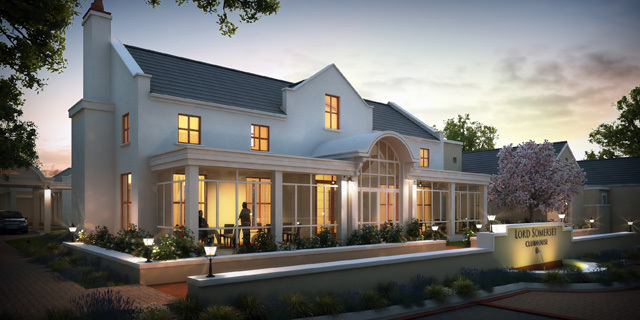 For the past 20 years, Westacre have specialised in developing top quality security gated retirement villages in Somerset West. The Somerset retirement homes provide a solid investment for your retirement savings even before you reach traditional retirement age. This positive, enriching environment is literally steeped in natural beauty, sophisticated style and graceful luxury – a setting in which the enjoyment of the golden years is amplified. With a choice of Freehold Title and Life Right cottages and apartments, all phases of the development already demonstrate a commitment to quality and value in workmanship, finishes and fittings. • Led the Sales and Marketing team.